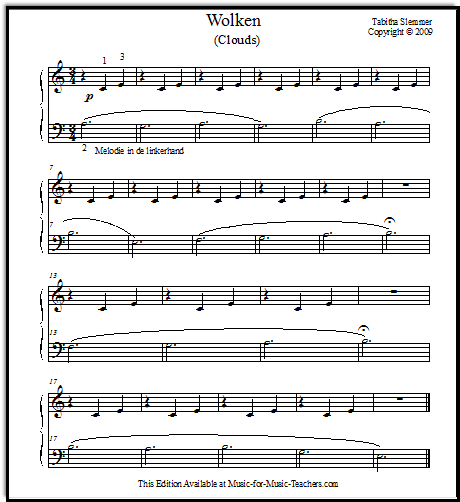 Piano sheet music for beginners "Wolken" (Dutch for "Clouds") is a dreamy primer piece suitable for students who have not yet played hands together. "I give this to students who have not yet played hands together, and who have just learned 3 beats per measure. "Left hand plays EFGAB, right hand has the same two notes CE all the time.... [my students] find it really beautiful and not childish. Kind of 'real music'." Though Tabitha calls this a Primer piece, the fact that the left hand uses such a range of notes means that "Clouds" will take a bit of time for your slowest note-readers to play without errors or hesitation. ...and 3 beats per measure! Adding to the difficulty for little guys - and even older piano students - is the waltz feeling of 3 beats; you may find that young players stop at the end of each measure and wait one beat. But this is good practice for them! They need to stretch themselves. I have broken through one student's inability to "get" 3 beats by having her get up and waltz (she was not embarrassed as she had been in dance classes since she was tiny), saying "1-2-3, 1-2-3," as I played & sang her song. "They should maintain the melody in the left hand, while the right hand plays the accompaniment very lightly. "I ask them to really phrase the LH part as indicated by the slurs, and to let the fermata sound long in the middle of the piece, and let it die away a little at the end." 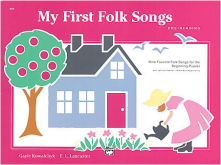 Thank you, Tabitha, for writing such a pretty song for beginning players! Thank you so so much for this site! I'm teaching my little sister and everything up here is absolutely amazing! I will definitely be making a donation as soon as possible! Thank you again! You're wonderful! I wanted to thank you. 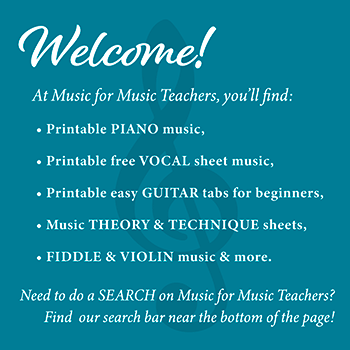 Several of the songs on this site work so well for some of my picky students and the ones who don't practice a lot.